This week following the release of the latest Steam Client Beta update, images of a possible new Valve Steam Controller have been discovered within its files. Leaking a possible new design for the Steam controller before Valve has officially unveiled it. As you can see in the image above the latest incarnation of the Steam controller looks similar to the previous versions that were leaked earlier this year and includes 1 x analogue stick, 4 x main buttons, and 2 x touch pads. 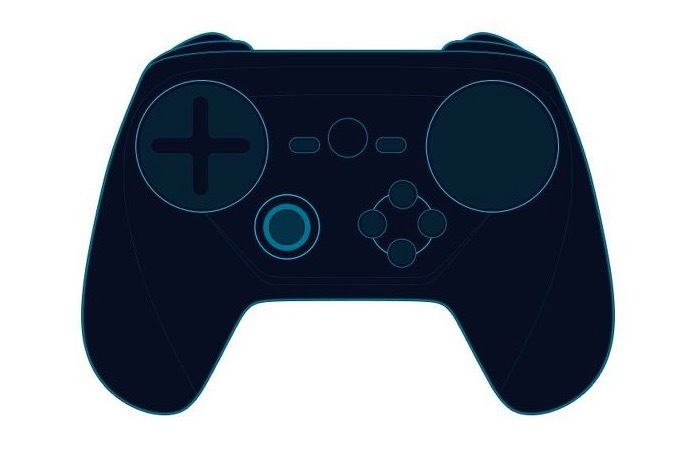 The biggest change that has been made by Valve for this latest Steam controller design is the appearance of a four-point directional guide on the left touch pad, although it is not entirely clear how the four-point guide will be used in the final controller and with Steam OS. Unfortunately Valve announced earlier this year that they would not be making an appearance at next year’s CES 2015 technology show taking place in January. But would reveal more details about their upcoming Steam Machines, Steam Controller and Steam OS during the GDC 2015 event taking place in early March 2015. Although as soon as more information comes to light regards any of the hardware or Steam OS we will keep you updated as always.